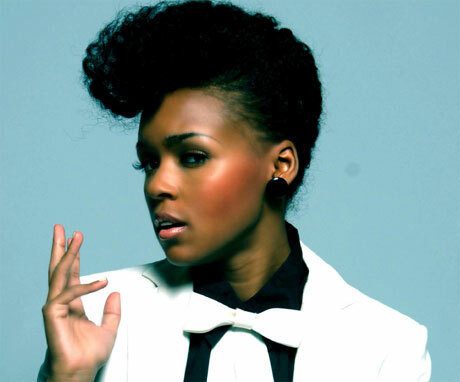 When Janelle Monae released her debut LP in 2010, she was already one of the most intriguing, ambitious artists of the new millennium. She was in the middle of a four-part concept album based on the silent era film Metropolis and, on the coattails of her album The Archandroid, announced her plans to release a graphic novel and a feature film based on her yet-to-be-completed series. A bit over the top? Most definitely, but out of her reach? It seems that the sky is the limit for Ms. Monae. Her EP Metropolis earned enough hype to get her signed by Diddy and lead single from The Archandroid featured Outkast's Big Boi. However, all of this success and hype leads back to just one person: Monae, who is one of the brightest spots in the R&B revival. One of Monae's best characteristics is that she isn't confined by one specific style or sound. Guest spots range from Saul Williams to indie rockers Of Montreal and she vacillates between a ball of pure energy and chilled out, lounge singer-type. All the while she is telling a fantastical story of being chased by the evil robots that populate the futuristic city she's in. The lyrics are perfectly campy and her voice is one of the best of my generation. Hell, even the way she looks- usually decked out in white and hair styled into a near pillar- looks like she was dropped out of the 22nd century. She really sells her act, but it would be appreciated all the same if she didn't have a theme. Monae's voice and versatility lend themselves to hours of continuous listening without blinking an eye with songs evoking the likes of Prince, David Bowie and Lauryn Hill. Basically, Janelle Monae is the best pop artist ever who isn't actually popular, and that's pretty unfair.